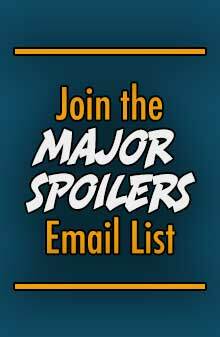 If you are looking for the Major Spoilers reviews of comic books from the comic book industry, you’ve found it! The best and the worst comics are reviewed each week. Or “How I Learned To Stop Worrying And Drop A Book.” First off, I suppose that I should introduce myself: Hey, I’m Matthew. You may remember me from such movies as “Bloody Mess On The Highway,” and “Calling All Lumberjacks.” I’m also known occasionally as The Lizard King, the twisted mind behind ‘The BMF List,’ now seemingly lost to the mists of time and internet. 52 – Week 21 – Infinity, Inc. The Lex Giveth and the Lex Taketh Away With great power comes great responsibility. In this case, Lex Luthor has the power to activate the metagene in anyone, and as we found out last issue, he also has the ability to take it away. Is it easy to do? And what will Lex do to get more people interested in his new team? It all happens in Week 21 of 52. Emerald Eye of Ekron Origin? 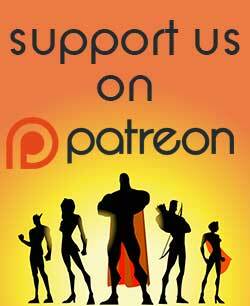 Week 20 is about adventures in space, an appearance by Supernova, and Lex Luthor has the cure. 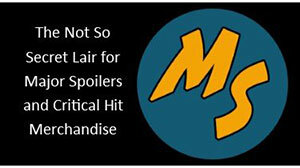 Spoilerific report ahead and we even get to answer one of my wild speculations from last week. Booster Gold is Rip Hunter, and more wild speculations. Week Nineteen is filled with so much time twisting goodness; it not only brings up millions of questions, but makes you question who’s who in the DC Universe. This week’s review is filled with wild speculation that seems like it might just be right. The House of Mystery Mystery A locked door, a dead detective, and Dr. Fate’s helmet. The solution to this mystery can only be solved by a great detective. Batman’s out of the country, so the next best on the list is Ralph Dibny. Bastiches Week Seventeen is all about space, and the vast distances between pockets of life. I love you too It’s a Marvel-ous wedding this week as Black Adam and Isis tie the knot. But nothing is ever that simple in the DC Universe, is it? Booster Gold Memorial Issue Today we mourn the loss of Booster Gold. He went out with a bang – literally. Week fifteen finds Booster Gold at his lowest point. His sponsors have all backed out, bills are overdue, and Supernova is taking all his glory. Instead of going the route of Ralph Dibny and putting a gun to his mouth, Booster shows he is a true superhero when a submarine accident in midtown Metropolis gives him hope of redeeming himself. The Clone Saga gets more complicated in this issue of Ultimate Spider-Man, but is this a good thing? The 90’s Clone Saga turned many readers off because, well… it was complicated. However, Bendis seems hell bent on fixing the story and making it intriguing, exciting, and fun. There’s no doubt about it, Paul Dini was born to write Batman. Keeping true to the title, Dini knocks another one out of the park in Detective Comics 822. This time Batman has competition as the best detective in town, when the Riddler hangs out his shingle. Will Batman be second best? Spoilers ahead. Batman 655: Does Morrison Pull It Off? I’m not a huge Grant Morrison fan, but I don’t hate him either. To me if you can tell a good story that has me eagerly turning from one page to the next in anticipation, then the writer has done a great job. But in the case of Morrison’s debut on the Batman title, I have to say I’m truly conflicted. In which Ralph learns the truth too late For the last 13 weeks, Ralph Dibny has been slowly going crazy over the loss of his wife Sue, and the subsequent desecration of her grave. Last week he tracked down Cassie (Wonder Girl) and was invited into the Cult of Conner to assist in the resurrection of his wife. This issue kicks off with Ralph, dressed in ceremonial garb, taking part in the ceremony.